We don’t normally give much thought to the various fluids that our car uses. Red, green, yellow, purple, pink, or even blue. We just top them off and forget about them until the next oil change, right? But things we don’t give much thought to have a way of causing expensive repairs. 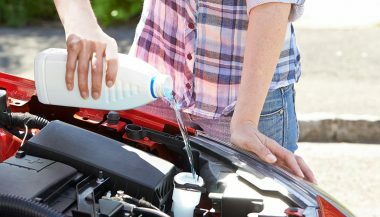 Let’s take a minute to see what can go wrong if you end up with the wrong car fluids in the wrong places in your vehicle. A few fluids are extremely critical. They make your car go, steer and stop. OK, that one was easy because we all know what gasoline is, and what happens when our car runs out of it. But there are some prevailing myths that surround this fluid that fluctuates in price so frequently. No, if your car takes regular gas you don’t need premium. It doesn’t do anything extra for an engine that is running correctly and is not pinging or knocking. Save your money. What could you spend the savings on? Spend it on gasoline that has more detergent than other gasolines do. Yes, the inside of an engine is a dirty place, and accumulated filthy deposits can cause expensive damage over time. That’s why all gasoline is regulated to contain at least some detergent. It helps your engine stay clean, and a clean engine pollutes the air less than a dirty engine does. What fuels have more of this cleaning additive? Look for gasoline that is advertised as a ‘top tier’ fuel. It might cost a bit more at the pump, but these car fluids could save you big down the road. All modern vehicles have power steering. If your resto-mod, though, has manual steering and is difficult to steer, top off the fluid in its steering box. That often fixes the hard-steering problem. For cars with power steering, if you hear a loud squealing or grinding noise when you turn the steering wheel, the fluid level is low. 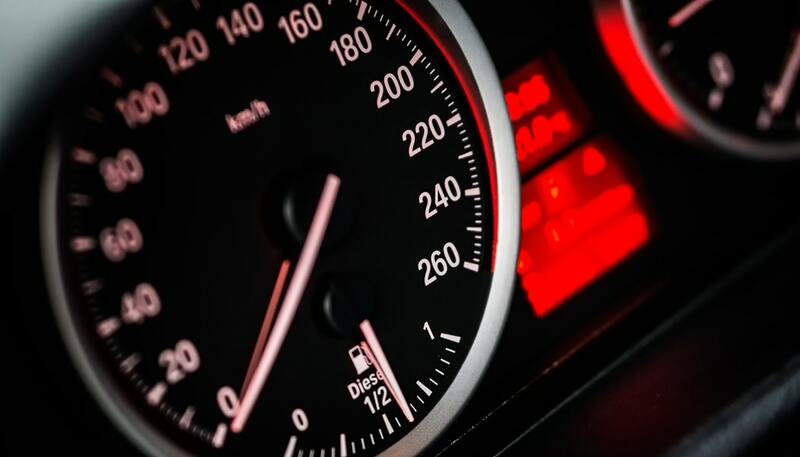 If you hear a gurgling noise when you first start the engine in the morning, the fluid level is low. Either way, the fluid leaked out somewhere. Find the cause and fix it. Caution, though. while it used to be nearly standard, modern cars don’t always use automatic transmission fluid in their power steering systems. 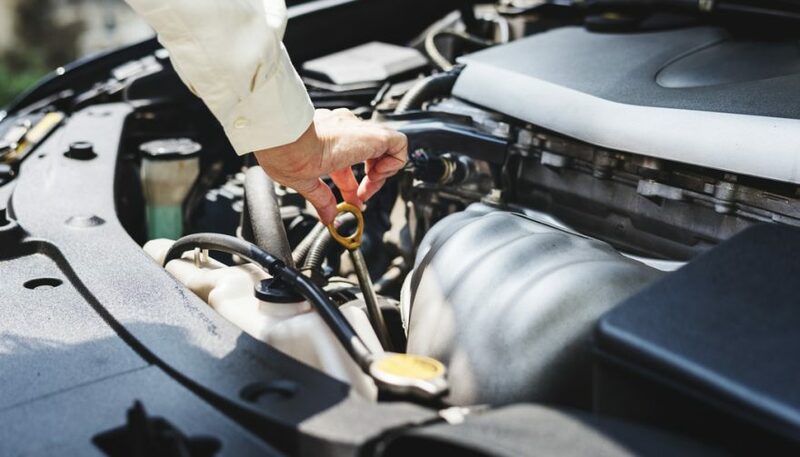 Ask the friendly people at the parts store to look up the type of fluid your car needs in its power steering reservoir, or check your owner’s manual. The big thing here is to never mix two different types of brake fluid. The two basic types are regular and synthetic, with several minor variations within each class. What to do? It’s simple. Read the writing on the car’s brake fluid filler cap. It will say something like DOT 3 or DOT anther number. But Dot is not a person who works at the brake parts factory. DOT stands for Department of Transportation. The wrong car fluids here can turn to a solid and clog your entire braking system. Or stop you from stopping. Now that we covered the things that make a car go, steer and stop, let’s look at fluids that make them reliable and last a long time. Much heated discussion exists on how often you should change your car’s engine oil. The discussions usually make it sound as if you must decide whether to spend your last dollar on engine oil or on food or on some critical medicine. Sheesh. It’s not that type of decision. Oil only costs a few dollars per quart, and the best quality oils only cost a little more than that. But those five or so quarts of inexpensive oil have the burden of protecting your engine, which would cost, say, $5,000 or more to replace. 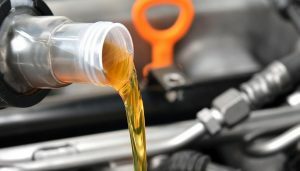 Therefore, replace your engine oil as frequently as you feel is wise, considering the wide, cavernous disparity between cost versus the huge benefit gained. For quality oil, spend the extra nickel and get the good stuff. Perhaps even spring for a brand name oil as well. Buy a high-quality oil filter too. Learn how to change the oil and filter yourself. It will make a big mess and take up way too much time on any Saturday. Then you will realize what a bargain it is to have it done at a drive-in oil change place. Let it suffice to say that many vehicle manufacturers nowadays specify synthetic engine oils, and some of them even pick a brand for you. You know what it is. 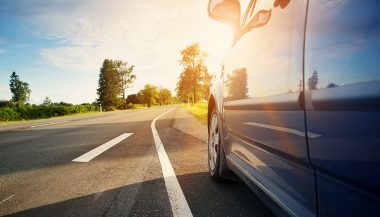 Either way, synthetic oil costs only a little more than conventional oil does, but it lasts twice as long and even protects your engine better while doing so. You don’t know it’s there until it isn’t. Then the engine will start overheating and blowing out steam, usually at the worst possible time and location. No, you can’t merely look at the plastic overflow jug and see what the level of coolant actually is inside the engine. To see that, you will need to let the car cool down overnight and then slowly remove the radiator cap when the engine is stone cold. If you get impatient and take the cap off a hot radiator, you could very well be drenched in hot scalding coolant. It will leave a hot oily mess on your skin that does not rinse off well with plain water from your garden hose. Severe burns are no laughing matter. Be careful. Make sure the engine is cold. Wear goggles. Get the correct type of coolant. Don’t mix types. Ask the parts store which type of coolant your car needs, the wrong car fluids here could damage your water pump or other internal components. None of which are cheap to repair. Newer vehicles don’t have a dipstick to check this. But just a few quarts of transmission fluid protect your expensive automatic transmission. Well, gee, maybe we should have this fluid checked and possibly replaced every now and then. Not convinced? 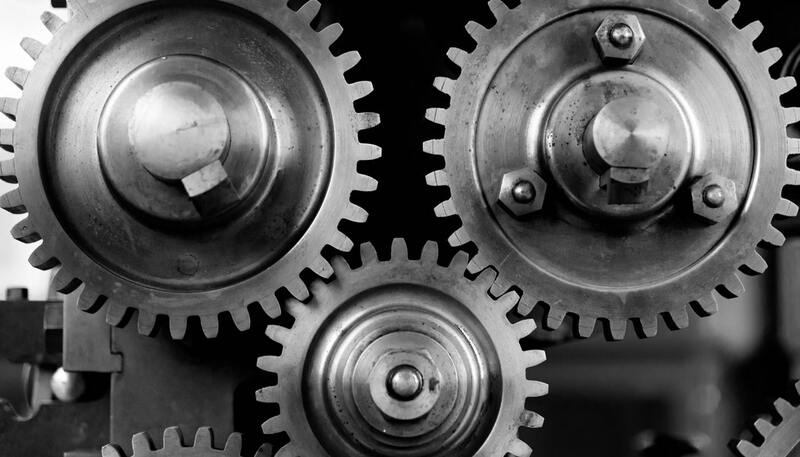 Did you know that the automatic transmission is the only major component of a modern car that does not usually last the lifetime of the vehicle unless it is very well maintained? Pay a little now or a lot later. It’s under the car, so you can’t see it. But replacing it every 100,000 miles is a good idea, or sooner if your manufacturer suggests it. Why? The same reasoning applies. Compare the price of three quarts of these car fluids versus over $1,000 for an axle overhaul. Do You Own 4 Wheel Drive? Have the transfer case fluid checked periodically, and even replaced every so often. This is not seen much anymore, but it used to be common. Many undercar components are lubricated for life at the factory these days. Until they are replaced. Then the replacement parts come with grease fittings that need to be serviced at every oil change. Technically it’s not always a fluid, but sometimes it is. Other times it is a gas. We are talking about the refrigerant within your car’s air conditioning system. This chemical does seep out of the A/C over time, and when it does so, it takes along some of the system’s lubricating oil. What needs that oil to survive? The expensive A/C compressor does. Don’t overfill the A/C. It’s dangerous. 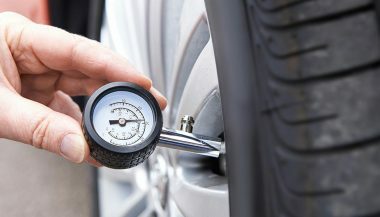 It generates pressures over 300 psi (Your tires only take 30psi). It damages the system. Have a professional shop do it. They won’t leak the old, environmentally harmful, car fluids into the atmosphere. Plain water won’t clean bugs, grime and diesel exhaust fumes off your windshield. Plain water will freeze in the reservoir and washer pump and break them both. Those are two good reasons to buy a good brand of washer fluid. It’s nice to be conversant in these things, especially if you want your car to last for many trouble-free years. At least you will be a more knowledgeable consumer when you bring your car in for service. There’s nothing wrong learning how to replace your car fluids yourself, but there’s nothing wrong with having a shop do it. It’s more important that you get the work done.